Putting your money away regularly for the future is a good thing to do but what is the best way to save? This depends on such things as your savings objectives, your timescales and ease of access to your money. Your adviser will help you plan in the most suitable and tax-efficient way to meet your needs. Are you achieving the best interest rate returns for your savings? Try now our online calculator to review and compare the returns available to you. 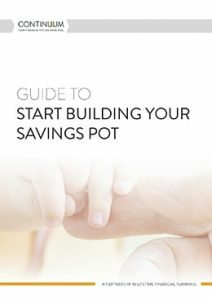 If you’re unsure how to manage your money to get the best return, download our guide for free and let us to help you. 20 years of ISAs – what about the next 20? Cash ISA or savings plan? Our services at Continuum are delivered by some of the most qualified advisers in the UK, to create the ultimate client experience. and experienced independent advisers in the UK.